Android 4.4.2 AOSP for Lenovo S860 with Android Lollipop UI – After long time not posting any guide because lack of an update from Lenovo, now i am back with great news for Lenovo S860 users. 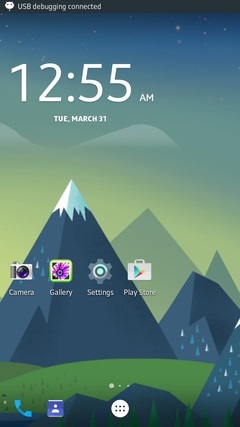 I am found on xda-developer forum an modified AOSP Android 4.4.2 ROM that using Android Lollipop user interface. This ROM already using full Android lollipop user interface so with this modified ROM you can getting an experience using Android Lollipop and try it until the real update for Lenovo S860 come out. 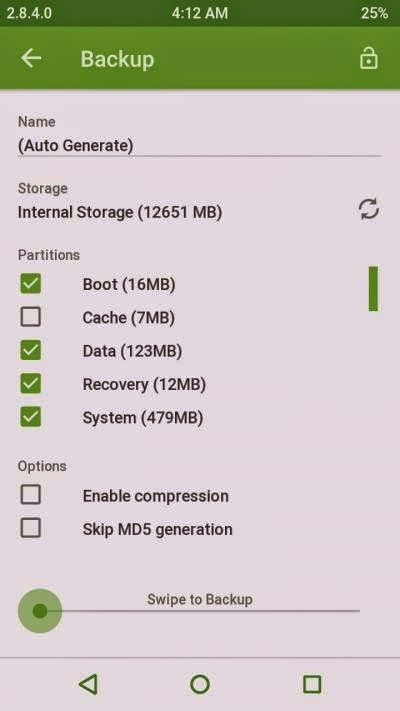 This ROM can only be install using custom recovery, it mean this ROM file will be in zip and your device must be already installed with custom recovery. Before starting to install and use it better to see the change logs and some screenshot from this ROM. First Lenovo S860 must be on Android 4.4.2 KitKat, and then already using custom recovery if not just go to above link i give and install it. Copy the downloaded file to your external sd card, or any else that can be access from custom recovery. It recommended to put in on the root, not inside the folder. 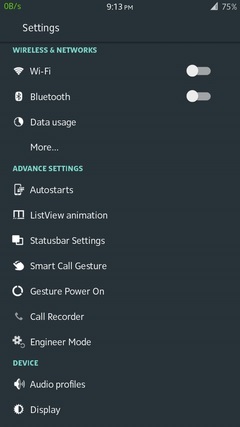 Turn off the phone, and then turn it on again using Volume Up + Volume Down + Power button. This will make your device boot on recovery mode. Wait the backup process until it finish completely, don’t interrupt or skip the backup process cause you be be needed someday. After done wipe process now it time to install the ROM. select Install ↦ Select zip file from ↦ browse it to downloaded file and the Swipe to Install, wait the process and don’t interrupt it. Process will take 3-4 minutes to finish and you can see the log on your screen. When finish now you can Reboot your device, it will take several time to do the first boot so please patience. If you got problem on first boot, more than 15 minutes then do factory reset again. Now do the wipe process or factory reset process, select Wipe ↦ Swipe to factory reset, then try to normal boot. 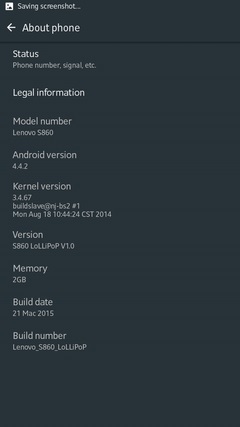 Done, that is it Lenovo S860 using Android Lollipop user interface. Enjoy the ROM and please leave any comments for problems, broken links or any other think that related to this guide, thank you for visit. I have S860 with 1GB RAM, I had Android 4.2 and then upgraded to 4.4.2. Now I have Chinese apps and Gapps do not work. Build number VIBEUI_V2.0_1439_7.2.1_ST_S860. What is/are the ROM/s that will work for me? Is there any ROM for the phone 1GB RAM that doesn't have the Chinese apps? Do I need to start with root (I saw here the article for all Lenovo versions), then recovery, then installing ROM? I've been reading about this in the past days but feel a bit lost in all these infos. How do I change modem afterwards? file is removed from the link, can you share again? hey bro. this is for 2gb version or 1gb? both can use this ROM but for 1 GB need to change modem file. Andy the installation is successful. Booting completed. But I get errors on MIUI SDK. Any help? i dont understand mean folder 0, after flashing what the problem that make your phone not like any other ROM ? it on the SD Card or on the internal memory ? i dont know why it create folder 0, if it because the CWM then you should change the cwm to lower version. like twrp v2.6 maybe..
try search on google TWRP 2.6, CWM is very rare for Lenovo device. my lenovo s860 does not have external slot for memory card…how can i copy into memory card and put on phone?? even S860 dont have external slot but it have internal memory card, and it can be mount to computer for copy the ROM file. ok thanks buddys for info ,I can update my china s860 with 1GB ram after upgrade to 4.4.2 kit kat then install as all guides to Lolipop version.work smooth n clean.keep up more info .i stay in malaysia phone bought local.